COHEED AND CAMBRIA To Team Up With MASTODON For ‘The Unheavenly Skye Tour’. 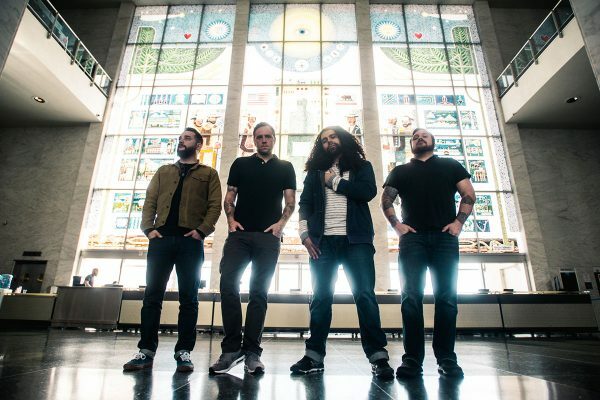 Modern progressive rock band COHEED AND CAMBRIA have announced a major U.S. tour across North America in support of their new album, “The Unheavenly Creatures” and they intend to hit the road with non-other than Mastodon and Every Time I Die. The 26-city “The Unheavenly Skye Tour” will see the band performing across a range of venues from large theaters to outdoor amphitheaters this summer. 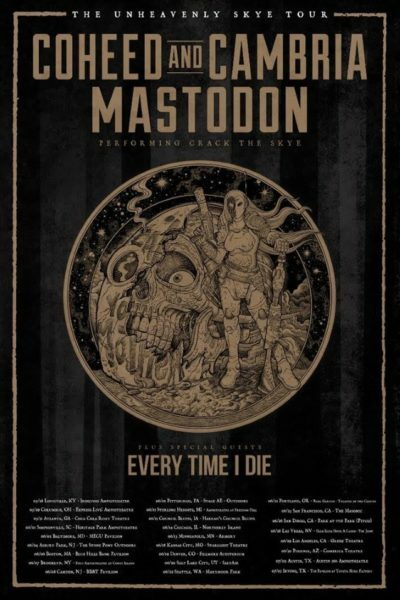 Special guest MASTODON will join the band, performing its renowned “Crack The Skye” album in its entirety. Epitaph’s legendary EVERY TIME I DIE will support on all dates. Produced by Live Nation, the rock outing kicks off May 28 in Louisville, Kentucky at the Iroquois Amphitheater and will make stops in Boston, Chicago, Denver, Los Angeles, and more before wrapping July 3 in Irving, Texas at The Pavilion at Toyota Music Factory. Tickets go on sale to the general public beginning Friday, February 15 at 10 a.m. local time at LiveNation.com. An artist presale will also be available from Wednesday, February 13 at 10:00 a.m. local time until Thursday, February 14 at 10:00 p.m. local time.